Meet our long distance SB Stitcher – Christa Carlsson. Christa Carlsson is a talented crafter who has been donating her finished projects to SB Stitchers for many years. Christa is a military wife and mother. She is married with 2 daughters and 2 sons. Her family is currently stationed in Fort Riley, Kansas. 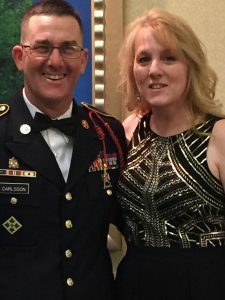 Her husband, Tage Carlsson is currently serving in the Army, her daughter Melissa is a Navy veteran having served seven years, and her youngest son Matthew is in Army boot camp training. 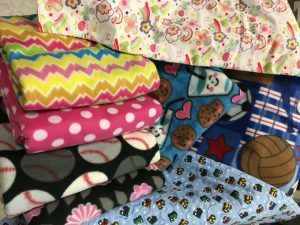 Christa started sewing when her kids were younger and always in need for something to be sewn – costumes, scout patches, sports uniforms…etc. She taught herself to sew using a sewing machine her husband bought for her. She has been sewing ever since. She said “I have always loved handmade items”. Christa found the Stony Brook Stitchers through Facebook when her childhood friend posted about the SB Stitchers. She said “the projects on your website appealed to me as well as providing something comforting to the pediatric patients”. Christa enjoys volunteering in her local community. She is the Vice President of the Spouses Club and will cook meals for hospice patients and their families. 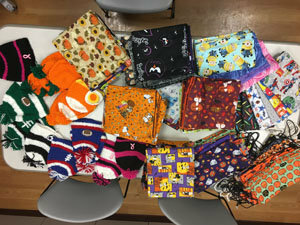 Christa mails boxes loaded with completed projects to SB Stitcher leader Melissa Shampine. Christa generously makes beautiful sewn items that get distributed to many areas within SBUH. Christa uses holiday themed fabrics & colors and always bring a smile to the patients receiving her items. Thank you Christa for your talents and generous donations. 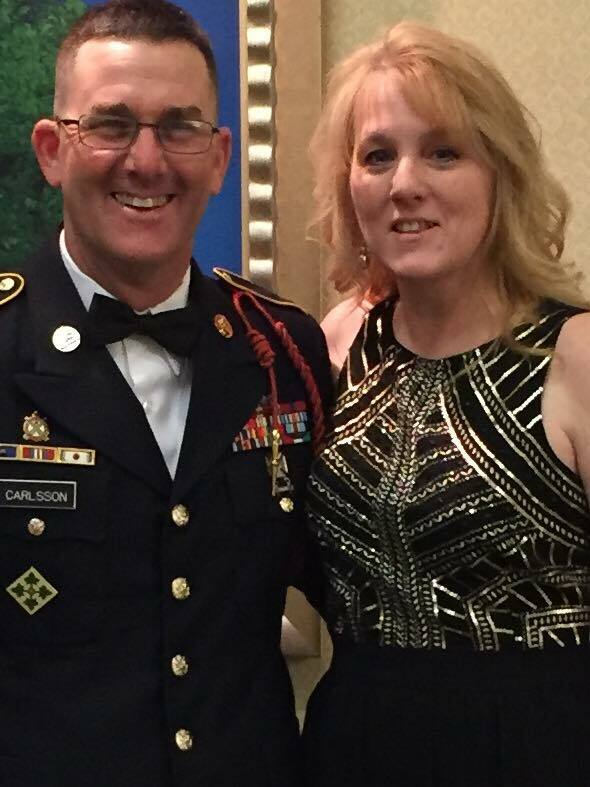 Thank you to the entire Carlsson family for their service to our country.